A sloppy joe is described by Wikipedia as a sandwich consisting of ground beef or pork, onions, tomato sauce or ketchup, Worcestershire sauce, and other seasonings served on a hamburger bun. 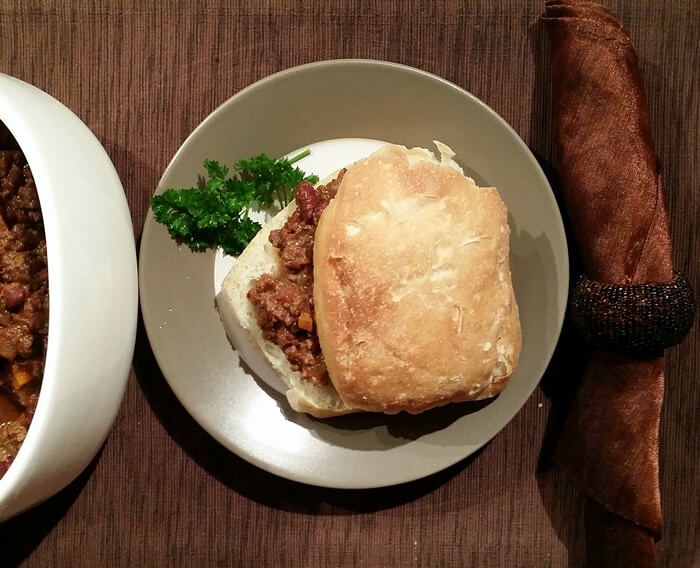 The dish originated in the United States during the early 20th century … so this is my Mexican take on a sloppy joe. 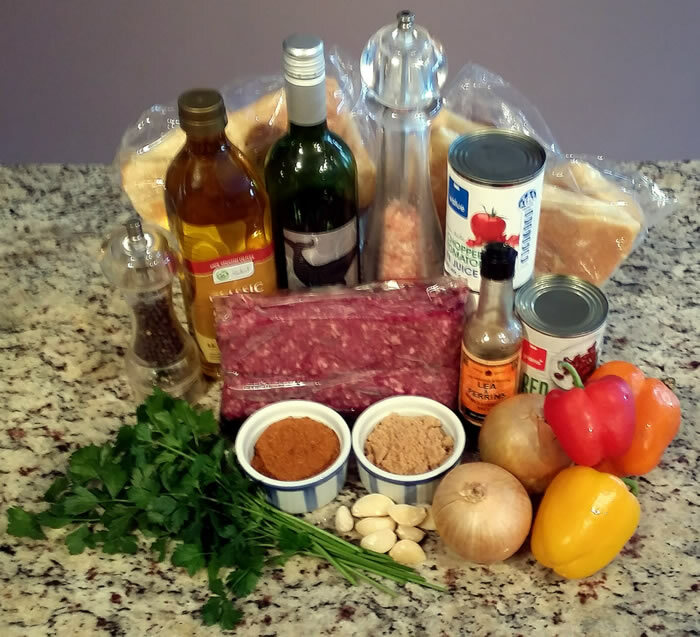 A great recipe for when you have a crowd to feed – quick and easy it can be prepared in advance and all you need is bread rolls and everyone can serve themselves. I like to use warmed ciabatta rolls, but any rolls will work and good to have a few gluten-free rolls on offer as well. Serving this with rolls makes it go further as you can only put “so much” on each roll, so there will be plenty for everyone. You will need some of my Mexican Spice Mix >> for this recipe – I always have it on hand as there are so many dishes that can be “spiced up” with it. Parcel – commonly called leaf celery or wild celery, is a herb that gives a celery flavour to all dishes. It is easy to grow and simply add it to dishes as you would celery, or finely chop a celery stalk and leaves if you don’t have any in your garden. 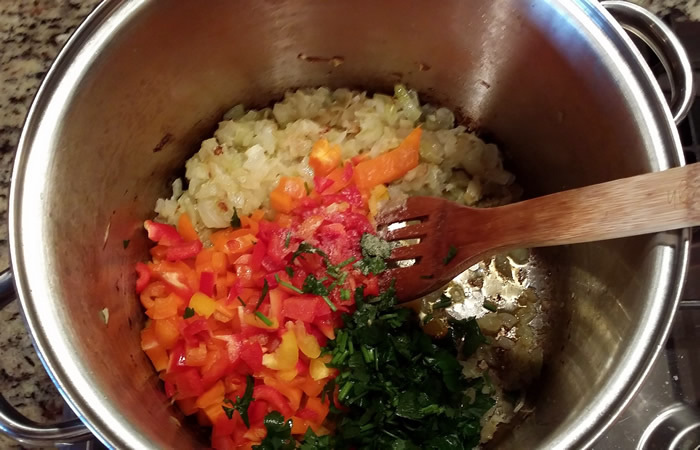 I used a red, yellow and orange capsicum, but any colour or colours is fine. 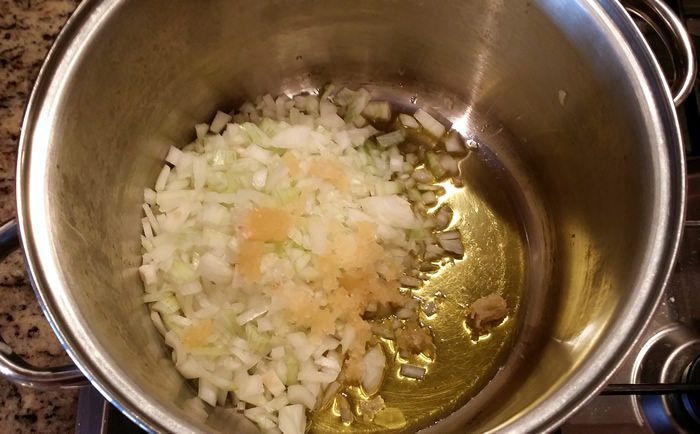 Heat the oil in a large, heavy bottom, saucepan and gently fry the onion and garlic until just starting to brown. Add capsicum, parcel herb and 1 teaspoon of salt and stir through for 5 minutes. 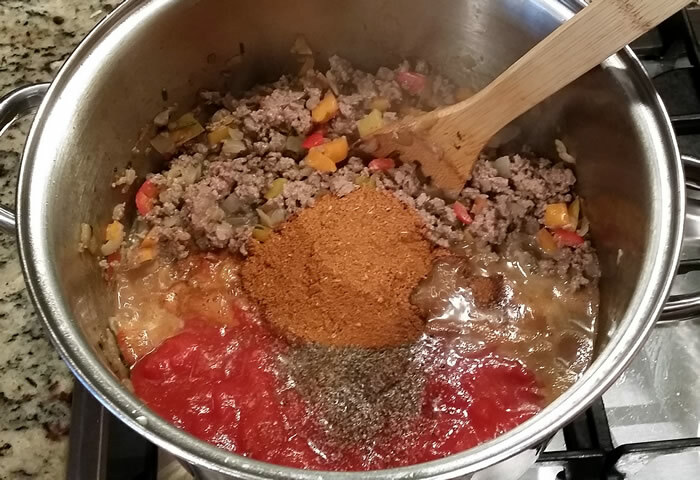 Add mince and stir until it just starts to brown (5 minutes), then add Mexican spice, 2 teaspoons of salt, pepper, red wine, tomatoes and Worcestershire sauce and simmer gently with the lid off until it reduces and thickens, stirring regularly. 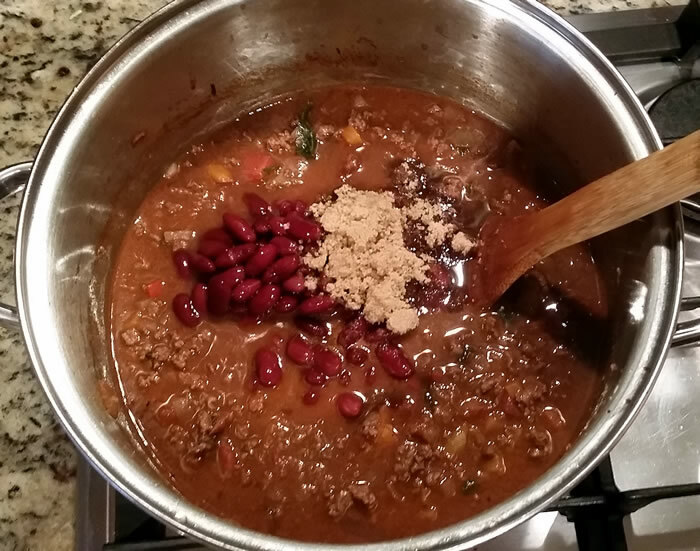 Lastly, add the kidney beans and brown sugar and simmer for another 10 minutes. Transfer to a serving dish or crockpot would be good to keep it hot. Serve with warm bread rolls.